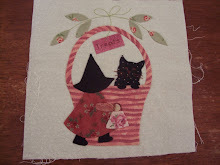 Celtic Craft Girl: A bit of sewing. 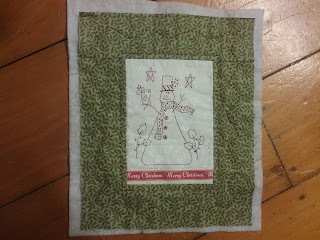 The border fabric arrived yesterday for Send My Love bom so today i sewed it to my top. 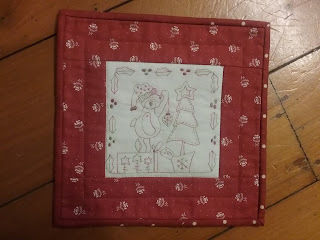 Next i added borders to the first 2 blocks for this years bom from Gail Pan called Merry Bright. 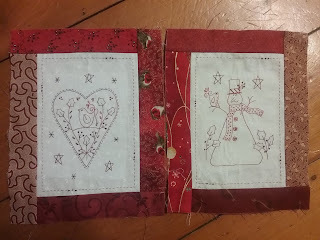 The running stitch was added this evening around inside of border. 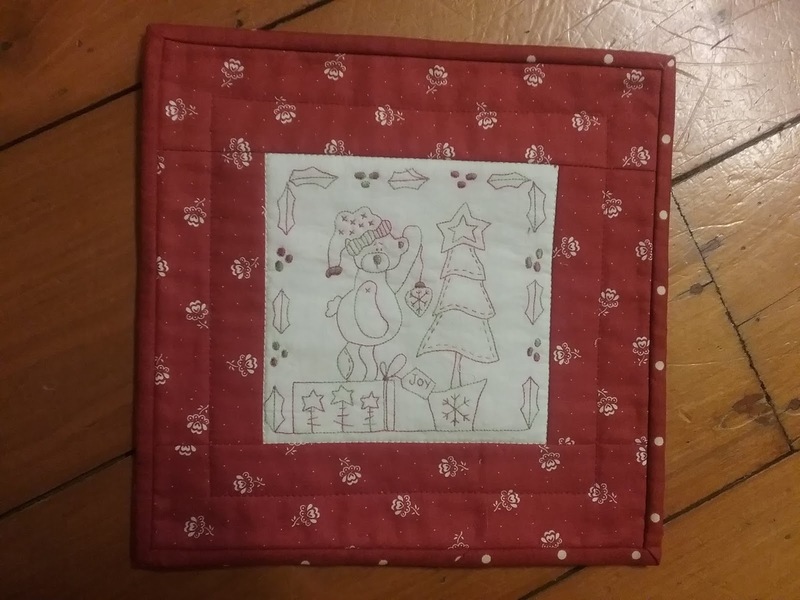 The extra project for this month is a pillow. 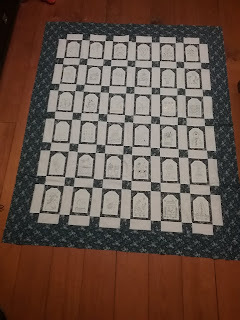 I added borders this morning & then did the quilting this evening. 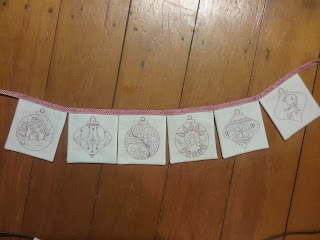 Hopefully I'll add the backing tomorrow & then stuff it. After that i finished off this little ufo. You are certainly achieving lots Jeanette. 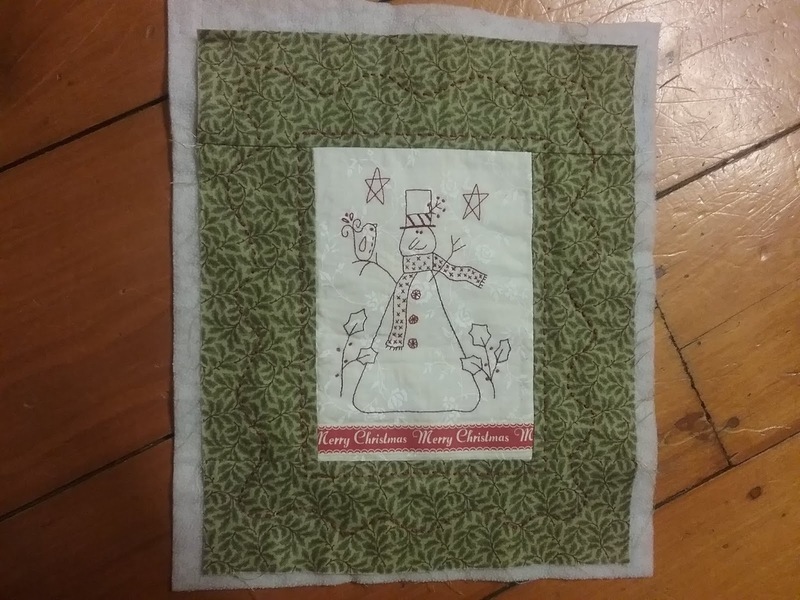 The Christmas banner looks wonderful & I love that little snowman cushion you are making. Happy creating. You found perfect fabric for you border... it looks just wonderful.... Lots of other smaller projects but it always takes quite a bit of time to get the borders etc all done.... 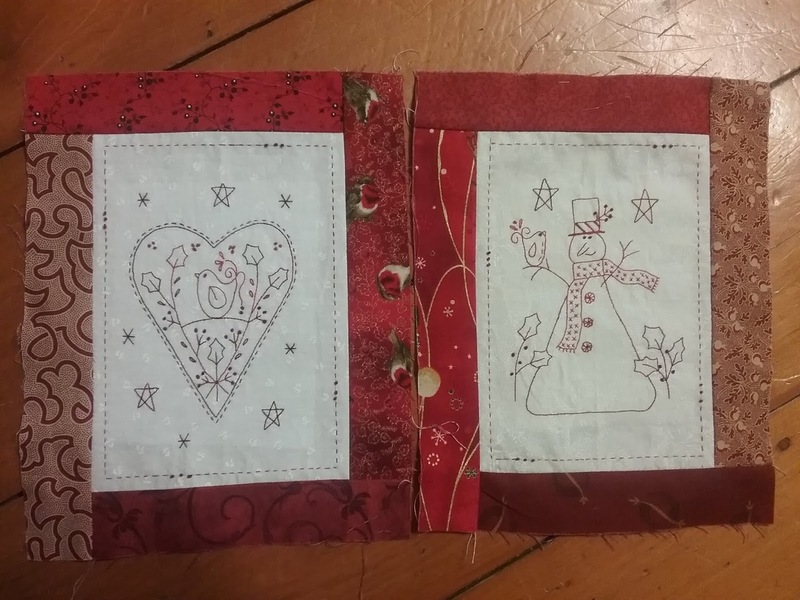 I love all your stitching..
My gosh, you have been extra productive. I am still only part way through Gail's design for this month. I had best get moving. 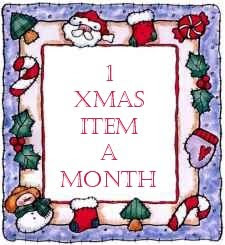 January: snowman cushion, pansy scissor keep, owl hanging, small Christmas hanging, Christmas bauble banner.